Edinburgh, Scotland, United Kingdom. 21November, 2017. 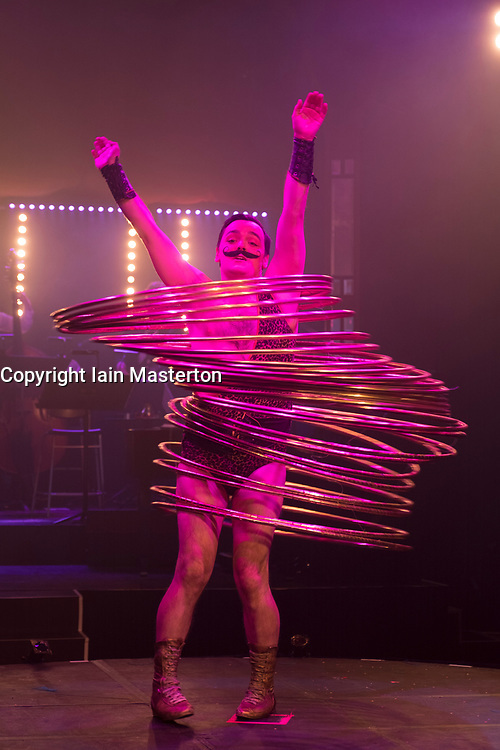 Cabaret group Le Clique present their Christmas show Le Clique Noel at the Spiegeltent in Edinburgh as part of the city's annual Christmas festivities. Craig Reid performs with his Hula Hoops.